The comic reproduces the bold and strong charm of Lee Si Young and gentle side of Jessica, showing distinctive style and personality of each characters. 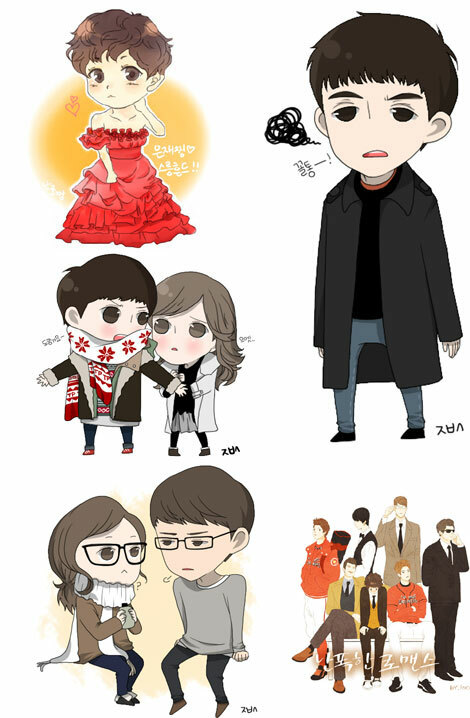 A cartoon even reproduces the scene of Lee Si Young comes forward to protect Lee Dong Wook, the vivid portrayal made people can’t help but laughing. In addition, the comical cartoon for the actors Kang Dong Soo, Lim Joo Eun, and Lee Chun Hee and others are also vivid, very eye-catching.